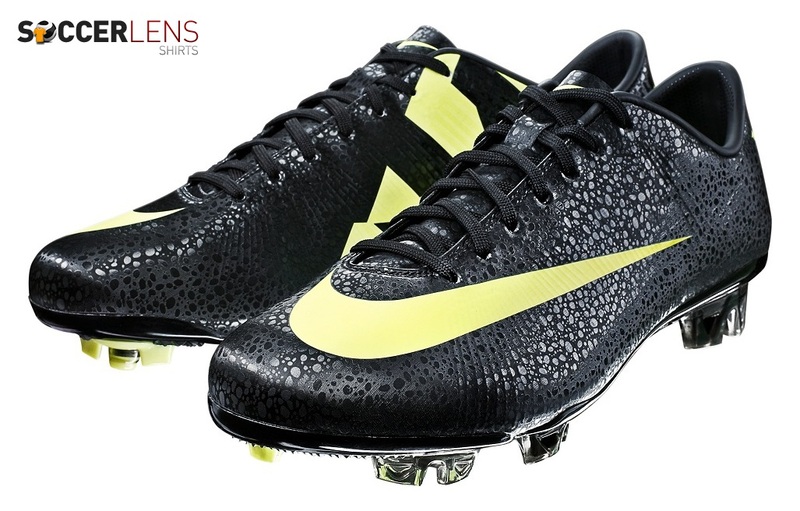 Football boots are one of the major things to affect the accuracy of a player. These shoes are produced by various companies on season basis and many editions of a single shoe are released in a single season. NIKE and ADIDAS are the most famous producers of these boots through the course of the season. Different players choose different shoes according to the specifications that they have demanded from the company and the manufacturer. Here we will go through the best shoes of the current season. The best and most used shoe in the entire world is the Mercurial Vapour category, produced by Nike. This shoe is designed for the fast paced players and gives pace the nod head over accuracy in the game. These shoes are very light weighted and are used mostly by wingers and may be strikers of the game. The most famous player to have graced these shoes is Real Madrid striker Cristiano Ronaldo. Many other famous players also use the Mercurial Vapours for their use and German and Real Madrid midfielder Mesut Ozil is also one of the many famous players who grace the lethal shoe. The other must have boot of the season is the T 90 by Nike again. Nike is the leading manufacturer of shoes for football players in the game and T 90 is also one of the most famous shoes of the season. This shoe is basically designed to prefer shooting over pace and is used by the real shooting strikers such as Manchester United striker Wayne Rooney and Chelsea hit-man Fernando Torres. Now if we come to the Adidas shoes, the predators are the most used and famous shoes in this brand. These shoes are basically preferred by the midfielders of the game and many great midfielders wear these shoes and prefer them over the NIKE lethal shoes. Barcelona duo of Andres Iniesta and Xavi are the famous players who wear these predators. Real Madrid’s playmaker Ricardo Kaka also wears the same shoes and his team-mate Angel Di Maria also likes to play his trade in the same shoes. Another famous shoe is the ADIDAS F50. These are worn by the greatest player on the earth, Barcelona attacker Lionel Messi. Finally, another top shoe of the season is the NIKE tempo. These shoes were specially made for Barcelona midfield magician Ronaldinho. These are still going well despite Ronaldinho’s decline in the game and are still worn by a number of players across the globe.